How can the mission, vision and values of a company be brought together to work in harmony with one another? Which competency model is most suitable for reflecting the strategic goals of the company in the same way as the personnel concepts that are followed in practice by HR management? How well-known and attractive is the company in comparison to its competitors on the external labour market? What can be done to ensure that enough qualified trainees apply both today and in the future? To what extent is the company management in a position to implement their strategic goals in the short to medium term? 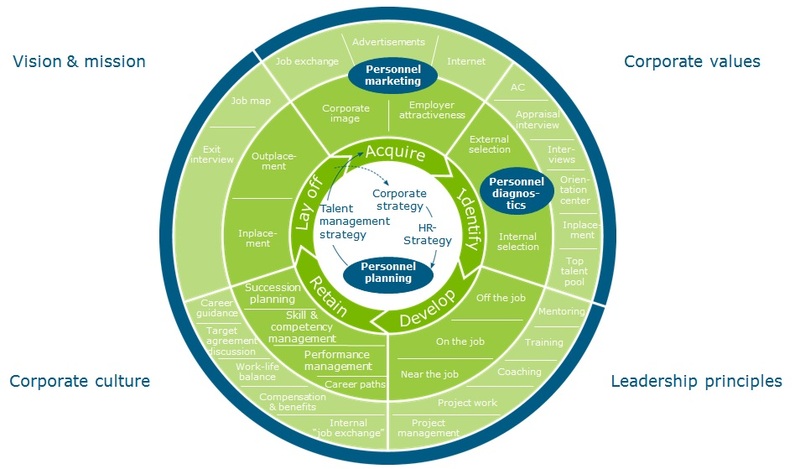 Which are the right tools for identifying and developing talent? How is it possible to guarantee that the knowledge and expertise held by experienced older employees stays within the company? It would be easy to add to this list of questions that are relevant to the success of the company. Generating the right idea is our mission. Finding the right solution is our service promise to our customers: in dialogue and with a future-oriented looking and sustainable approach! We will be happy to advice you!